Garden Place Estates Apartments near Canton and Potsdam, NY was designed with homestyle comfort in mind. Each unit is spacious, well lit, professional, and clean. On average every apartment has 2 bedrooms, 1 full bathroom, and is approximately 900 square feet. One of the apartment floor plans that we offer. Our spacious apartments are perfect for any business or hospital professional looking to enjoy some quality time at home away from the office. We are in a prime location just minutes from any one of the four universities in the area. We proudly offer apartments for rent to SLU, SUNY Potsdam, SUNY Canton, and Clarkson University faculty looking for a quiet, clean place to study and sleep. No matter who you are, Garden Place Estates Apartments is the perfect place for you. Every apartment on site is spacious and offers various amenities and spacious floor plans that will make you feel at home. Bringing your family to live at Garden Place Estates Apartments is a smooth transition. With so much room to play and stretch out, you and your family will make the spacious apartment feel like home in no time. Or if you’re flying solo, you will have plenty of room to spread your belongings and enjoy the spacious layout of your home and bedroom. Our spacious floor plans make our apartments perfect for any professional to live comfortably. Almost every carpeted bedroom is large enough to comfortably fit a queen sized bed and more depending on how you set up your furniture. All apartment floor plans provide each bedroom with a closet. Some of our larger apartments do provide walk-in closets, but most are open-door standard sized closets. With room to hang your belonging or organize them in the lower storage units, you will have enough room for all of your things. Most of our wood-style dining areas are in the kitchen. 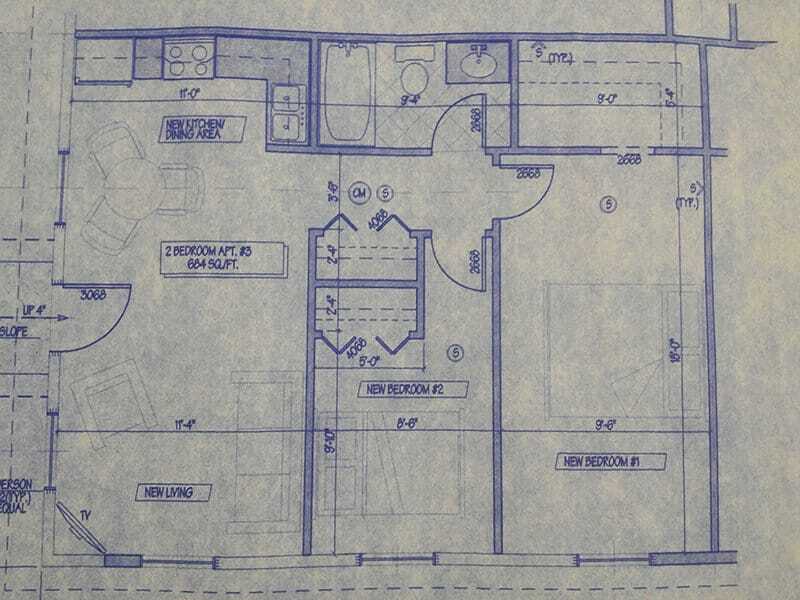 The floor plan provides enough room for a reasonably sized dining table and chairs. With the spacious layouts of our apartments, entertaining guests in your unit is a breeze. The carpeted living room is openly connected to the dining area which offers more space for furniture and guests to move about. This open-concept allows for more room for activities! Our modern apartments for rent are spacious and welcoming. The unique floor plans for each apartment provide our valued renters with a roomy apartment where they can bring all of their belongings and not feel crowded. It is our goal at Garden Place Estates Apartments to make our renters feel as at home as possible, and what's homier than having all of your belongings with you and organized just the way you like?